A new year means opportunity for growth, endless inspiration, and a new you! 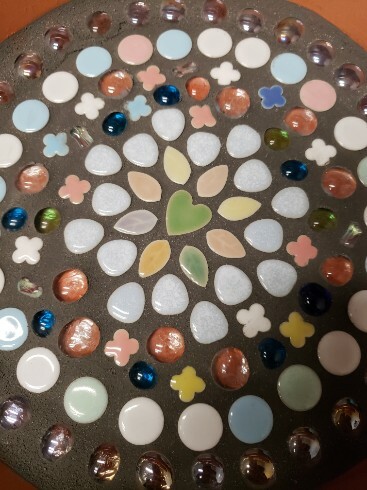 Create a colorful, kaleidoscope, mandala- like mosaic that reflects your personal style, intentions, and inspirations. Join us as we zen in and zone out in this creative process. Using a variety of materials, participants will explore the beauty found within the color, radiance, and balance of these radial designs. A lovely ornament for any indoor or outdoor space. Each participant will create an 10” disk.